Most websites have specific conversion goals they are attempting to achieve. If you manage a retail site, it may be orders and revenue. 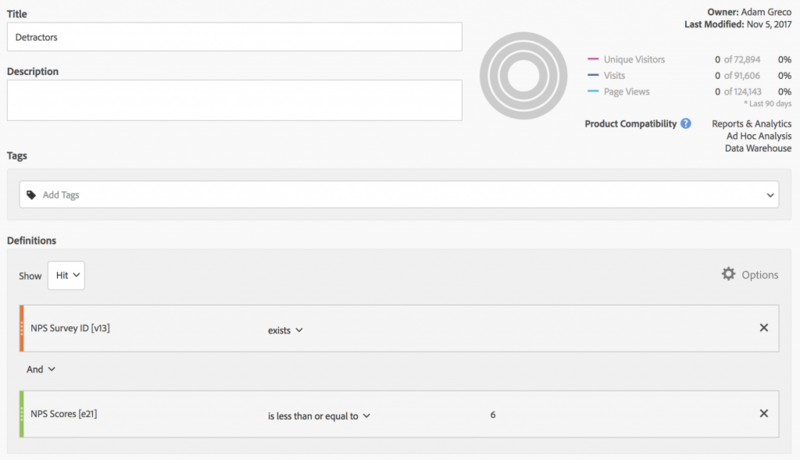 Conversely, if you don’t sell products, you might use visitor engagement as your primary KPI. Regardless of the purpose of your website (or app), having a good experience and having people like you and your brand is always important. It is normally a good thing when people use your site/product/app and recommend it to others. 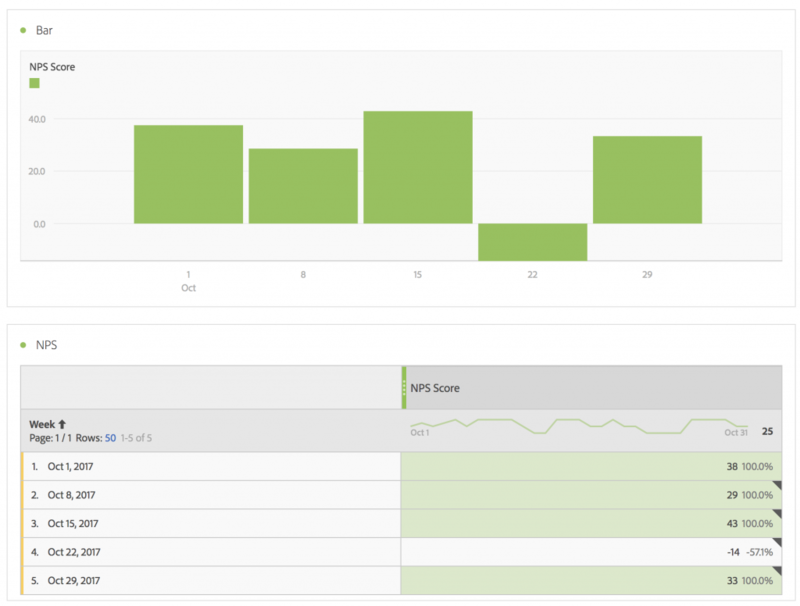 One method to capture how often people interacting with your site/brand/app have a good experience is to use Net Promoter Score (NPS). 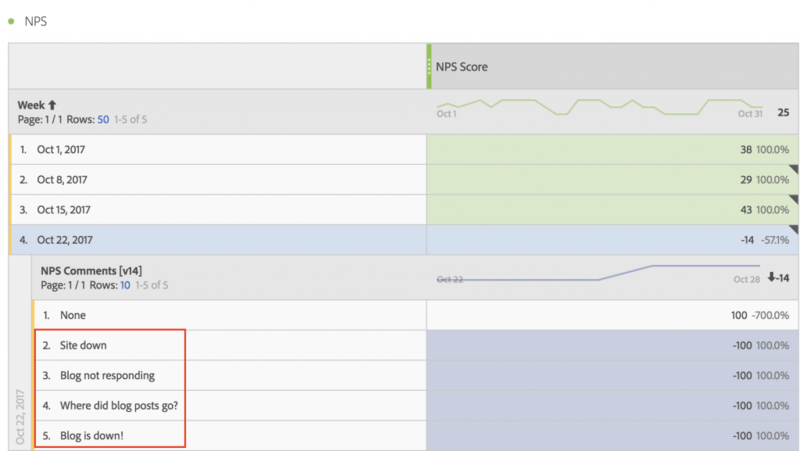 I assume that if you are a digital marketer and reading this, you are already familiar with NPS, but in this post, I wanted to share some ways that you can incorporate NPS scoring into Adobe Analytics. 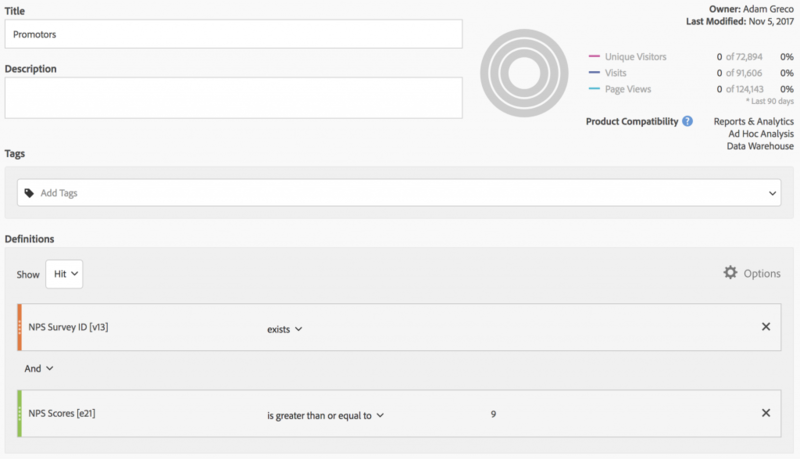 The easiest way to add NPS to your site or app is to simply add a survey tool that will pop-up a survey to your users and ask them to provide an NPS. My favorite tool for doing this is Hotjar, but there are several tools that can do this. 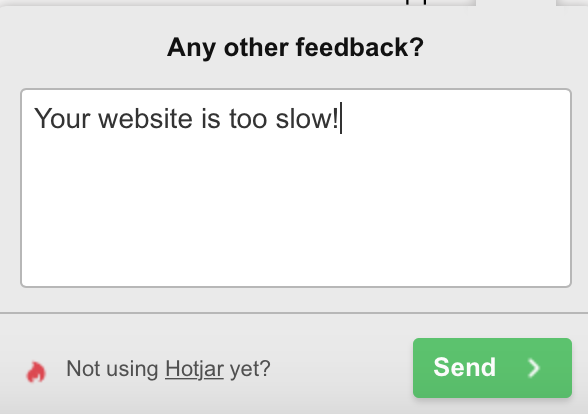 Once your users have filled out the NPS survey, you can monitor the results in Hotjar or whichever tool you used to conduct the survey. Keep in mind that you can also build segments based upon these verbatim comments, which is really cool! 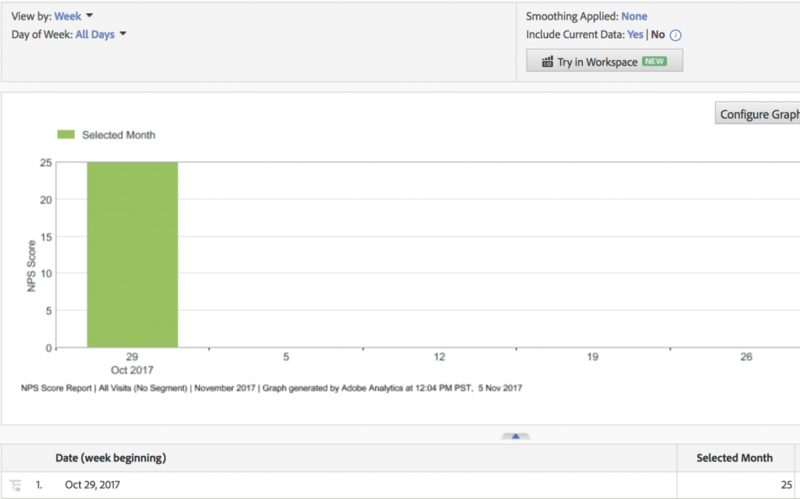 While capturing NPS Survey ID’s and comments is interesting, you probably want to see the actual NPS scores in Adobe Analytics as well. 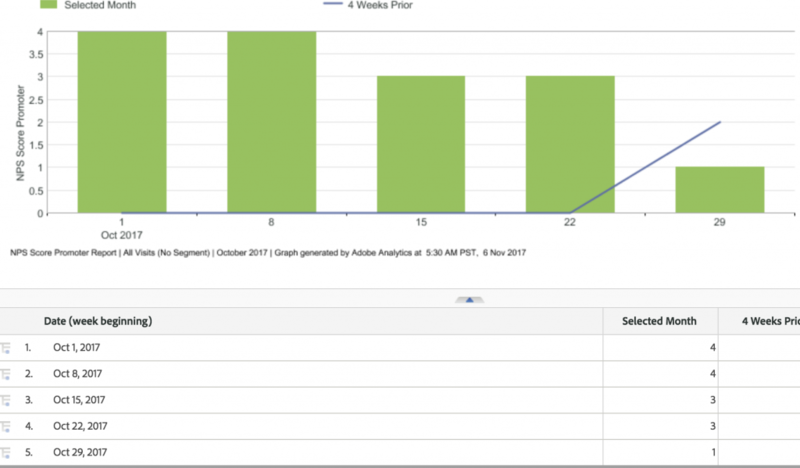 You can do this by capturing the actual NPS value in a numeric success event in Adobe Analytics when visitors submit the NPS survey. 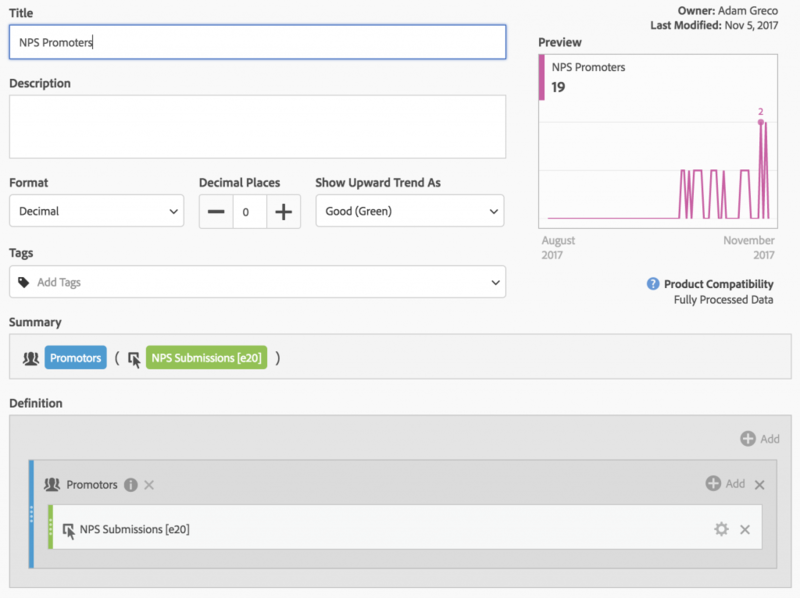 You can also set a counter success event for every NPS survey submission, which allows you to create a calculated metric that shows a trend of your overall NPS. In our scenario, the NPS would be -50, since we had one detractor and no promoters, computed as ((0-1)/2) x 100 = -50. In this case, the aggregate NPS score for the week (which in this case just includes two days) is 25 computed as: ((2 Promoters – 1 Detractor)/4 Responses) x 100 = 25. 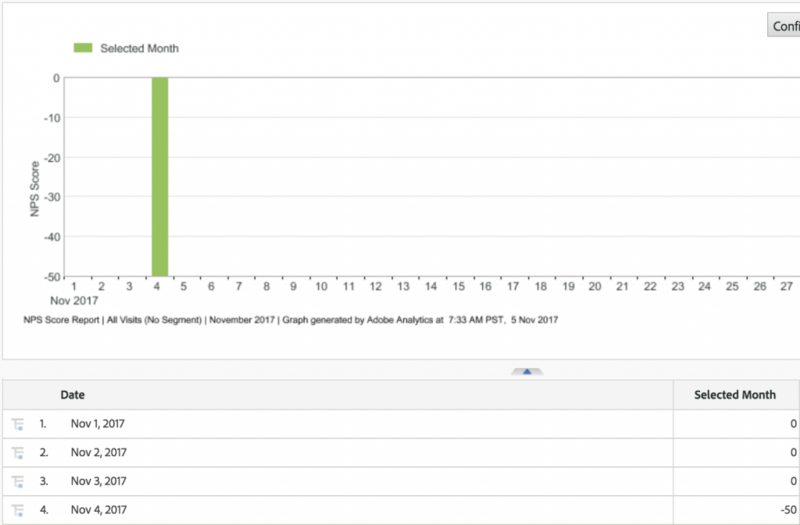 In this case, the comments let us know that the blog portion of the website was having issues, which hurt our overall NPS. 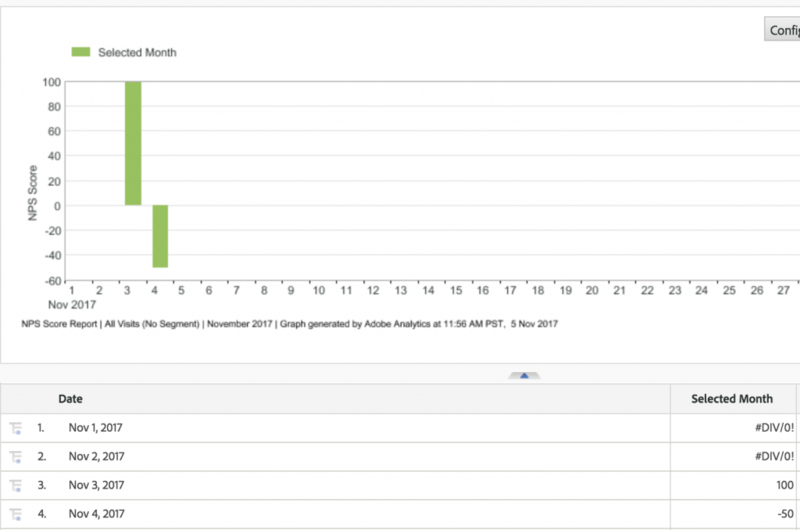 Alternatively, you could also choose to set success events for Promoter Submissions and Detractor Submissions (in real-time) instead of using a segment to create these metrics. Doing this would require using three success events instead of two, but would remove the need for the segments, but the results would be the same. 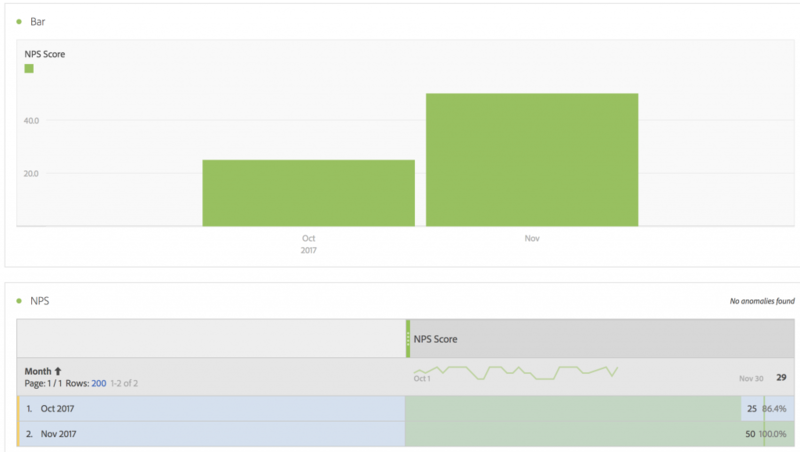 These are just some ideas that I have thought about for incorporating NPS into your Adobe Analytics implementation. If you have any other ideas, feel free to leave a comment here. This is great Adam – one (probably) daft question. Along the same lines, we currently capture effort, task completion and overall satisfaction scores along verbatim comments from customers. Will also look to bring in NPS as we ask on our feedback form. All these items get popped into separate evars, but as they have a 255 character limit – we’re struggling to find any way to pull in that longform data. We have around 9% of people who leave feedback in excess of evar length, but would love to get it all in one place. Any smart ideas on how to solve? This article is great and has already helped me a lot in a current POC that i’m building. I had one question though in regards to what you define as ‘NPS Survey ID’? And is this only suggested if you’d like to crosscheck results between platforms – ie “Identify which [Hotjar] sessions (using the captured Survey ID) for which you want to view recordings based upon behavior found in Adobe Analytics”? 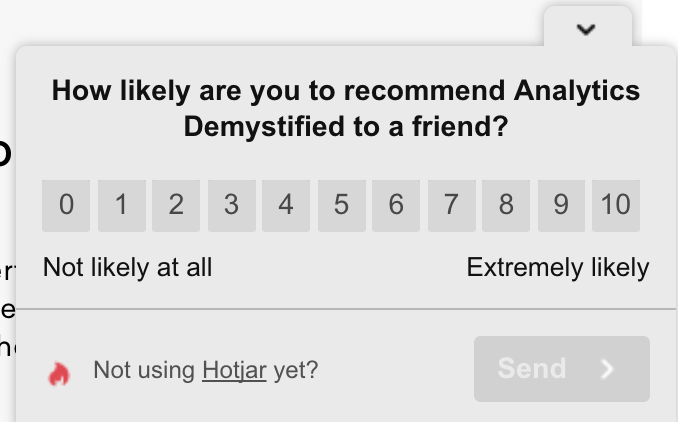 Based on your article above, it appears to be an identifier that is unique to each submission of a NPS Survey from Hotjar. 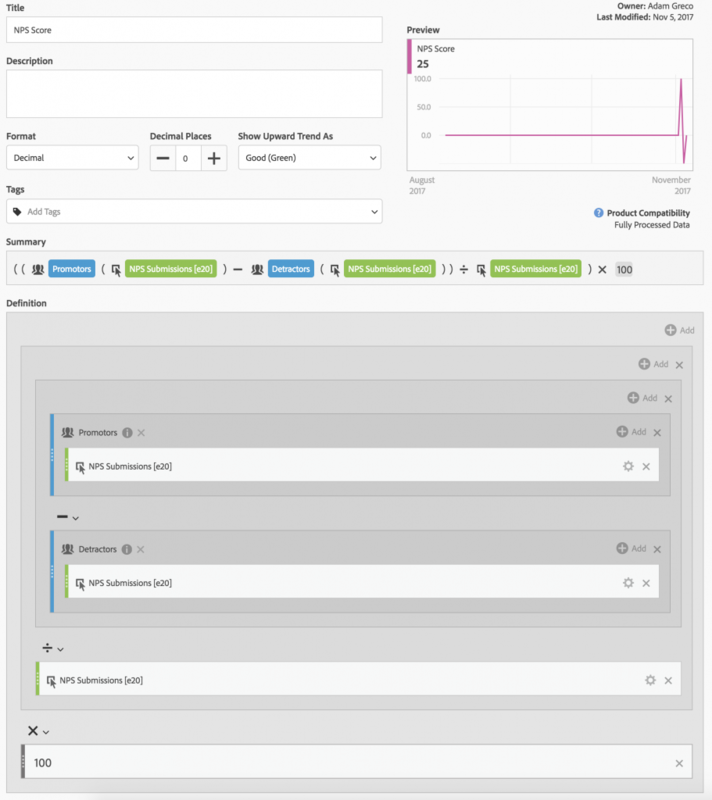 I’ve been familiarising myself with Hotjar and between both what’s available on page in terms of the Hotjar Data/Object structure (ie hj.widget.pollData.id) and also what’s viewable within the console (ie userId)… and I couldn’t seen anything within either that equated to what I understood your reference to NPS Survey ID to represent. I personally was thinking of setting an a NPS Survey ID eVar as a combination of both the userId and surveyId (which are both available on page and in the HJ console). My assumption would be that those two values together would usually be unique 99% of the time – unless the same user has submitted the same NPS survey more than once. And it would mean you could filter AA reports by the the user ID value or survey id value included in the NPS Survey ID eVar if required for whatever reason. Is that would/how you would define the survey ID for a hotter/adobe analytics integration?